HOW TO GENERATE MORE POWER AT ANY GIVEN MOMENT? When we’re clear with the END, we can generate more POWER in the present moment. Very Simple- because of the POWER of PERSPECTIVE you gain in the process of cultivating the clarity. You can watch more here MORE POWER NOW. This is NOT my opinion, it’s something I had experienced and I will share in the end what is the biggest secret that is missed by most people about this principle. While most people fumble and spin their wheels in figuring out the HOW, they miss the main first important point- GET CLEAR ON WHAT REALLY MATTERS TO YOU FIRST. From many fields, in different tones and terms through ages everybody has heard a variation of the importance of this principle I’m sure. To start with the spiritual masters who have always shared this principle-“Without vision people perish” is not just a nice say but a proven principle that permeates through many disciplines. A vision does Not have to be this grandiose effort or revelation we get only when we’re in trance or under a tree like legendary stories of Moses or Abraham have had. A vision in nowadays term can be a goal, a dream, a purpose, an intention. In fact to bring it closer to our times; Napoleon Hill who had studied proliferate leaders and impactful men of his generation for over 25 years had summarized it well in his book think and grow rich(a book that is accredited to have generated the most millionaires in History of mankind). The first principle that all these successful had in common is The Definiteness of Purpose (backed up by a burning desire- which we will address at a later point) would say Napoleon Hill. That’s definiteness of purpose is also what Stephen Covey would call – “START WITH & KEEP THE END in MIND” in his famous best seller book “The seven habits of Highly Effective people”. Now, whether or not that you are spiritual or a business person, what is clear is that if you’ve ever used a GPS to navigate to get to a destination or a navigation tool in the like of a compass, knowing the north star is critical. In fact, that is the way airplanes get to their destination, by trial and error or constant adjustment (based on the end and destination). For fiction lovers, the subtle illustration of this principle is the cat guidance to Alice in Wonderland in the famous book from Caroll Lewis in chap 6. Now let’s see if you rather listen to science base facts, one of the best perspective that I got was year ago when I was studying neuro science. The best way to explain this, is what is called in the part of our brain the Reticular activating system or R.A.S. A good way to explain the power of the RAS is to look at our own daily lives. Have you ever noticed that when you get a new car or a new shirt? For some reason that new car seems to be everywhere or all the sudden? Did more of these cars appeared all of the sudden? Of course, NOT- The answer is that, WE’RE WIRED to Notice around us THINGS THAT MATTER TO US. That’s what the Reticular activating system does for us human. This is biology and science not just opinion, or philosophy. THEREFORE, THIS IS WHY, WE MUST BE SO BE CLEAR ABOUT those things That matter to us. As sad It is, most people spend most of the time in their lives planning and getting on their vacation that they would spend time getting clear on their year, month, or lives. If we only knew the power of this principle I think we would teach these since kindergarten. 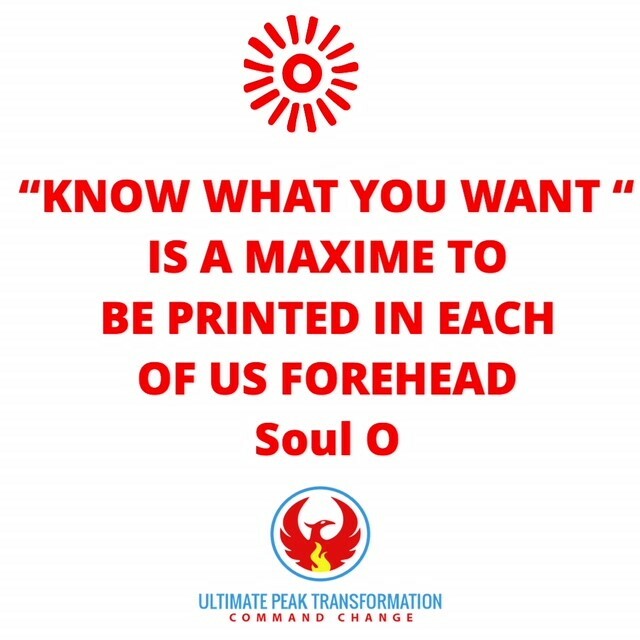 “Know what you want is a Maxime that should be printed in our forehead. In fact, a good framework for that is the power of intention that is a very transformative practice whether we gather in business settings or in any settings getting clear on our purpose in any activities is what gives us power in the present. A good book that helped me in this angle is the power of intentions by Wayne Dyer. A practical approach to this is to always ask ourselves what is our intention-What is the purpose of this meeting what is our intention in this gathering? (Apparently, this a practice that the famous Oprah has in her closest circle). I really wanted to spend more times on this as this is the foundation for everything else. Because the first poignant point I wanted to make is that as human, our first function is to get crystal clear on what we want, and on what matter to us. I love the reminder that Mary Morrissey shares- Everything is created twice (first in the mind then physically- we all know that, but NOT EVERYBODY KNOWS THE POWER of that). Now, naturally, you would ask- what is the best way to intelligently formulate your desires and want? The simple answer is to get a crystal-clear picture of what you want. We’ll explore more in the next post but here are main steps that I use when I work with my clients. 1-What Really Matter to me? 3-Would what I love expand me or constrict me? Make sure it’s expansive because every thought either constrict us or expand us by giving us more life. 4-Will this contribute to Humanity and make a difference? We’ll explore more on the How in next post- stay tuned. But as promised, here’s the secret that most people miss on the power of creating and getting clear on the vision. AND getting CRYSTAL CLEAR PICTURE is a differentiator because it BECOMES SPECIFIC and adhere to the law of specificity and even more it creates emotion that inherently move us to action- because pictures create emotion. ALL IN ALL,You can watch more here MORE POWER NOW. 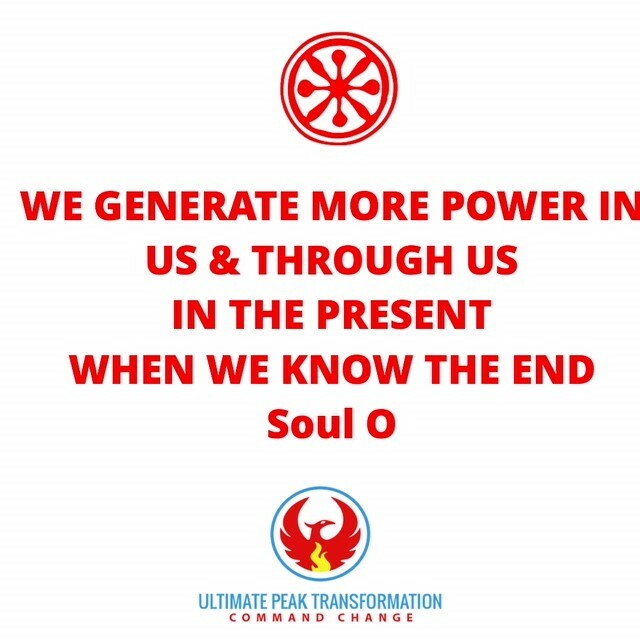 WE GENERATE MORE POWER IN US AND TROUGH US IN THE PRESENT WHEN WE KNOW THE END.